Viewed as a great producer and songwriter who boldly transcends today’s music into his own artistic blue-print, Kelvin Benion excels tremendously in the illustrious art of the music in the musical industry. He makes a musical statement that thrives on the dazzling feel of old school and contemporary music. The versatility and variety of his productions are not only a creation of his love for music, but also a spice of life that touches the spirits of many. Kelvin Benion is a native of Birmingham, Alabama. Being the determined and enthused young child he was, “KB”, as he is often referred to as, was inside preparing for his future, while other kids were out playing. In 1986 Kelvin started writing music as well as playing. He developed his musical skills on keyboard, tuba, sax and many other instruments, which sparked his musical interest even more. While enhancing these skills, KB aggressively pursued a music career, cutting demos, writing, and eventually producing for major artist as well as local artist. While pursuing this career, KB made it very clear that he would not be an industry casualty. Therefore, he decided to take his musical talents a step further by focusing his career in music through college. 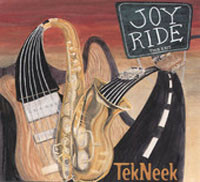 In college he founded and developed the award nominated jazz band, “Tekneek.” Although he is no longer with the band as a keyboardist, he still exudes the qualities of a true musician in other projects. 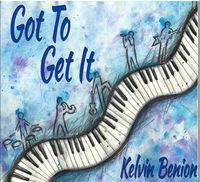 Many have even said that Kelvin has a bright future in the music industry. It will be his unique East Coast flavor and endless drive to perfection that will carry him all the way. Kelvin is not one to seclude himself to one genre of music. KB, has produced for and worked in various genres of music, which include: Gospel; Where he’s had the pleasure of working with Stella Award winner Ben Tankard (Yolanda Adams, Take 6), R&B; Grammy Award winner Henry Panion III (Stevie Wonder, The Winans), Pop; Grammy Award Winner James Bevelle (Dion Ferris), and Jazz; where he’s worked with Grammy Award winner Phil Davis (Norman Brown). Though he has been acknowledged for his great accomplishments in the works of music by these talented artists, his musical agenda does not stop there. Being one of the founding members of Tekneek, (Top 50 Smooth Jazz and Stella Award nominee), “KB” has performed with Dennis Edwards, Me’lissa Morgan, David Peaston, Stevie Wonder, Ernie Watts, Jessy J, Kenny Lattimore and many other great musical phenoms. In addition to, his great musical works, Kelvin is now asst. director with the National High Stepping Champions, Minor High School Sounds of Superior Marching Band. He expresses his leadership skills by mentoring and encouraging his high school students, so that they too can have successful and enjoyable musical experiences as he had.